Veleta is a regular entry on lists of superlative bike climbs like “world’s highest/toughest/hardest” and, at 3,394 m (11,135 ft), Veleta more than deserves the distinctions but Veleta has a few things that the others don’t, which makes it even more alluring. For instance, there is more than one way to climb Veleta but you must commit to a bike choice before departure. To have a total sea-level-to-peak-experience, you can start from the shores of the Mediterranean and ride the 87 km (54 mi) to the peak. Or time your ascent to a summertime full moon and reach the peak at sunrise for an experience that’s hard to match anywhere else in the world. Veleta is the second highest peak on the Iberian Peninsula. 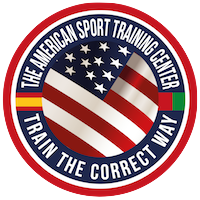 It’s also the background to our logo. It is quite literally overshadowed by Mulhacén, 3,478.6 m (11,413 ft), its neighbor directly to the east. But unlike Mulhacén, you can ride your gravel or mountain bike to within 25 m (82 ft) of Veleta’s peak, making it the highest cyclable climb in Europe. Hicham and I try to ride Veleta at least once/year for a variety of reasons, principally to prove we can still do it, to be reminded of why we chose to live here, to suffer a bit, and to test the elasticity our self-imposed boundaries. These are probably good reasons for you to do it too. 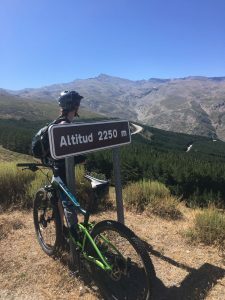 This year we opted to ride our mountain bikes up to the top and then descend the combination single- and double-track on the south side to arrive in the mountain town of Capileira where we spent the night before partially circling the base and catching a bus back to Granada. It took us a whopping 6 hr. 30 min. to pedal the 42 km from our house to the top and then another hour and 45 minutes to ride 34 km down to Capileira. Everything hurt once I got there too — most of all my biceps from the unrelenting stutter bumps nearly the whole way down. BUT, part of the fun to counter the suffering is that you can eat whatever you want and we sported ourself a well-deserved dinner at on the grass terrace of restaurant Paco Lopez overlooking the valley to the south. Ride notes: The red route marked on the map is our actual ride; both the yellow off-road route and purple road route were added to provide some alternative options. While we chose to ride our dual-suspension mountain bikes up and over Veleta, someone fitter and faster might do well with a gravel bike with some front suspension. We locked out our suspension for most of the climb but having suspension helped stave off fatigue and maintain focus on the descent, which can be loose and rocky singletrack for the first 10-15 km. In addition to carrying a change of clothes, flip-flops, toothbrush, toothpaste and shampoo, we each hauled a couple liters of water and lots of food since resources are scarce from around 1,700 m on up. July and August are usually the best months to do this because any sooner and you may run into snow around 2800 meters; any later and it gets pretty cold above 2500 m.